In Part One of this five part series we saw Jesus tell Pilate that His Kingdom was not of this world (John 18:36). We also saw where Jesus taught that the Kingdom does not come with careful observation because the kingdom of God is within you. We saw how being born of the Spirit facilitates entrance into the Kingdom and how being in the Kingdom involves spiritual dynamics of righteous behavior. In Part Two of this series, we will discuss the passages of Scripture that appear to identify the Kingdom of God as having specific location and being a seat of rulership and government. As noted in Part One, the Jews rejected Jesus as the promised Messiah because He did not fit their understanding of who the Messiah would be. The Jews believed the Messiah would be a conquering military leader who would restore the Davidic Kingdom to Israel by doing away with Roman rule. The Jews believed this to be the case because of what they saw written in the Hebrew Scriptures. Many Christians today read these same Scriptures and arrive at the same conclusion the first century Jews did as to the nature of the Kingdom. It is believed the Kingdom is a physical Kingdom. It will be established at a time future to us when it is believed Christ comes back to planet earth in power and glory to establish a world ruling government that will displace the kingdoms of this world. There are a number of passages in the OT that speak of a Kingdom being established that will supersede all other kingdoms and will last forever. Isaiah writes of a child being born who will have the government upon his shoulders and who will reign on David’s throne and over his kingdom forever (Isaiah 9:6-7). Since David ruled over a physical kingdom involving government, subjects and land, it would appear Isaiah is talking about someone who will reign in like manner. In Daniel 2:31-45, Daniel writes of a succession of earthly kingdoms which will be replaced by God setting up a Kingdom that will never be destroyed. Daniel prophesied that the sovereignty, power and greatness of all the kingdoms of this world will be handed over to the saints and that God’s Kingdom will be an everlasting Kingdom and all rulers will worship and obey Him (Daniel 7:28). Since the context is the replacement of earthly kingdoms with the Kingdom of God, Many Christians conclude that the Kingdom of God will be a physical Kingdom with a governing authority located on this earth. It is instructive that there is a succession of four earthly kingdoms enumerated in Daniel 2. Daniel identifies the Babylonian Kingdom of Nebuchadnezzar as the first of theses kingdoms and then speaks of three kingdoms to follow which history identifies as the Medo-Persian Empire, the Greek Empire and the Roman Empire. It is during the time of the fourth kingdom that Daniel sees the Kingdom of God appearing. The Roman Empire began around 44 B.C. and by the first century A.D. it was flourishing. It was at this time that Christ began to preach that the Kingdom of God was about to appear. Since Daniel dates the appearance of the Kingdom of God to the time of the fourth kingdom (Roman Empire), this virtually dates the appearing of the Kingdom of God to the first century A.D. It would be wise for those who see the Kingdom of God first appearing at a yet future to us return of Christ to take note of this fact. In Daniel 7:13-14, we see Daniel writing of one like a son of man appearing before the Ancient of Days who gives this son of man authority and sovereign power to rule all peoples and nations. His dominion is said to be an everlasting dominion that will not pass away. His Kingdom is one that is seen as never being destroyed. The language of this passage appears to speak of a traditional type of kingdom involving a king exercising power and authority over nations and peoples. In Isaiah 11, the prophet speaks of a time when a descendant of Jesse (father of David) will appear and facilitate the restoration of Israel. This prophecy speaks of a time when even animals that are generally antagonistic to one another will live together in peace. Christians often see this prophecy as predictive of Christ establishing an earthly kingdom although this prophecy doesn’t speak of the Kingdom and its context suggests a past event. In addition to these prophesies, the Jews of Jesus day were also familiar with the 70 weeks prophecy recorded in Daniel chapter nine. They were able to calculate from this prophecy the approximate time when the promised Messiah was to appear. Their calculations showed that the time of the Messiah’s appearing was at hand in the first century AD. Expectations were high that the promised Messiah was about to appear. Taking advantage of this expectation, there were a number of “messiahs” that appeared on the seen in the first century promising to lead the people out from under Roman rule. First century historian Josephus records that almost every day the Romans put one or more of them to death. The appearance of multiple “messiahs” may have added to the Jews skepticism regarding Jesus’ claim that he was the promised Messiah. The Gospel of John clearly shows Jesus believed Himself to be the promised Messiah. John 4:25-26: The woman said to Him, "I know that Messiah is coming'' (who is called Christ). "When He comes, He will tell us all things.'' Jesus said to her, "I who speak to you am He'' (NKJV). Daniel 9:24-27: Seventy weeks are determined upon thy people and upon thy holy city, to finish the transgression, and to make an end of sins, and to make reconciliation for iniquity, and to bring in everlasting righteousness, and to seal up the vision and prophecy, and to anoint the most Holy. Know therefore and understand, that from the going forth of the commandment to restore and to build Jerusalem unto the Messiah the Prince shall be seven weeks, and threescore and two weeks: the street shall be built again, and the wall, even in troublous times. And after threescore and two weeks shall Messiah be cut off, but not for himself: and the people of the prince that shall come shall destroy the city and the sanctuary; and the end thereof shall be with a flood, and unto the end of the war desolations are determined. And he shall confirm the covenant with many for one week: and in the midst of the week he shall cause the sacrifice and the oblation to cease, and for the overspreading of abominations he shall make it desolate, even until the consummation, and that determined shall be poured upon the desolate (KJV). It should be noted that there is no discussion of the establishment of a kingdom in this passage. The passage is only about the coming of Messiah, His being cut off, the subsequent destruction of the sanctuary along with the city, and the discontinuance of the sacrifices. It is apparent the Jewish leadership of the first century either failed to understand this aspect of the 70 weeks prophecy or chose to ignore it and simply stick to their belief that the coming Messiah would restore a literal Davidic kingdom. It is apparent, however, that there is nothing in the Hebrew Scriptures discussed above (Isaiah 9 and 11, Daniel 2) that suggests the Kingdom of God would not be of this world. The language of these passages gives no hint of the Kingdom of God being located somewhere other than planet earth. Therefore, it is understandable that the Jews of Jesus day were expecting the coming Messiah to establish a literal Kingdom which would be on this earth. Since Jesus didn’t bring such a Kingdom but instead was crucified as a common criminal. He was looked upon as a pretender no different from the other would be messiahs that were appearing on the scene in the first century. In Part One of this series we looked at many passages of Scripture that indicate the Kingdom of God is of a spiritual nature in that it involves being born of the Spirit of God and practicing the way of righteousness in our behavior before God and man. This being said, there are a number of passages in the NT that appear to identify the Kingdom of God in a different way. There are statements made by Christ and the apostles that appear to indicate establishment of the Kingdom was future to them and something that would occur at the return of Christ. The Kingdom is seen as having location and a thing to be inherited. In one such passage, the Kingdom is seen as being inherited at the time of Christ coming in glory. Matthew 25:32: When the Son of Man comes in his glory, and all the angels with him, he will sit on his throne in heavenly glory. Matthew 25:34: "Then the King will say to those on his right, `Come, you who are blessed by my Father; take your inheritance, the kingdom prepared for you since the creation of the world. The entire chapter of Matthew 25 records Jesus using parables and figures of speech to describe the Kingdom. In so doing, He identifies the Kingdom as something that arrives when the King arrives after a long absence. The chapter begins with "At that time the kingdom of heaven will be like ten virgins who took their lamps and went out to meet the bridegroom.” The phrase “at that time” is referring to a time when the King, after a long absence, comes to fetch those who have made themselves ready for the wedding banquet which represents the Kingdom. This is followed by a parable about the Kingdom being like a land owner giving property to his tenants and then returning to reward them for what they have accomplished in his absence (Matthew 25:14-30). This is often referred to as the parable of the talents. Since this parable is about the Kingdom, it is the Kingdom that is seen as the reward. Still speaking within the context of the Kingdom, Jesus speaks of coming in His glory to reward those who lived righteously (Matthew 25:31-46). In Luke’s account of the parable of the talents, Luke shows this parable was given because the people thought the Kingdom was going to arrive at once. Luke 19:11-27: While they were listening to this, he went on to tell them a parable, because he was near Jerusalem and the people thought that the kingdom of God was going to appear at once. Jesus goes on to show by means of this parable that the Kingdom was not about to arrive at that time but would arrive after the owner of the land went to receive a kingdom and then return as King. This account of the parable of the talents closely parallels the passage in Daniel 7:10-14 as cited above. This brings us to examine what the followers of Jesus believed about the nature of the Kingdom. The Scriptures show Jesus constantly taught His followers about the Kingdom during His three and one-half year ministry and He continued to teach about the Kingdom for 40 days after His resurrection. It would appear logical to conclude that after being with Jesus for three and one-half years of his ministry and now forty additional days with Him after His resurrection, they would have had a pretty good understanding of what the Kingdom was all about. During His ministry, Jesus sent disciples throughout Israel to preach about the Kingdom (Luke 9:1-6, 10:1, 9-11). Jesus would not have sent these disciples out to preach the Kingdom unless they were trained in the knowledge of the Kingdom and were able to intelligently and truthfully teach it. With this in mind, it is instructive that shortly before His ascension to the Father, the close disciples of Jesus asked him if He was at this time going to restore the Kingdom to Israel. Acts 1:6-8: So when they met together, they asked him, "Lord, are you at this time going to restore the kingdom to Israel?" He said to them: "It is not for you to know the times or dates the Father has set by his own authority. But you will receive power when the Holy Spirit comes on you; and you will be my witnesses in Jerusalem, and in all Judea and Samaria, and to the ends of the earth." After being taught about the Kingdom for over three years and being sent out to teach others about the Kingdom, the disciples ask Jesus if He is going to restore the Kingdom to Israel at this time. This tells us the disciples understood the Kingdom to be more than spiritual dynamics. By asking about the restoration of the Kingdom to Israel, it is evident the disciples were thinking in terms of the restoration of the Davidic Kingdom which during David’s time was a physical Kingdom with a King and subjects. It is instructive that Jesus does not in any way indicate their understanding of the nature of the Kingdom is incorrect. He only tells them it is not for them to know the times or dates the Father has set by His own authority. The implication is that the Father has set the date for the restoration of the Kingdom. It is evident from the NT Scriptures that restoration of the Davidic Kingdom is what was anticipated by first century Israel, including the followers of Jesus. When Jesus arrived in Jerusalem riding on a donkey, the people associated His arrival with the restoration of the Davidic Kingdom. Mark 11:9-10: Those who went ahead and those who followed shouted, "Hosanna!” "Blessed is he who comes in the name of the Lord!" "Blessed is the coming kingdom of our father David!" "Hosanna in the highest!" As a side note here, some scholars believe this event of Jesus riding into Jerusalem never happened because if it did, the Romans would have immediately arrested Jesus and had Him killed. History shows the Romans did not tolerate anyone claiming to be a king or being looked upon as a King as only the Roman Caesar had that title. However, it is also historically evident that the Romans were careful not to incite a riot. Arresting Jesus at this point would have created quite a backlash. So in all likelihood, this event happened as recorded. At this point it must be pointed out that one express reason given for the birth of Christ is that He was to be given the throne of His father David and that He was to reign over the house of Jacob in a Kingdom that would never end. Here is what the angel Gabrial told Mary. Here we find the Kingdom clearly associated with there being a throne of rulership and reign over a particular group of people. Jesus clearly admits to having come into the world to be a King. Being a king implies there being a kingdom. The Kingdom appears to be a lot more than spiritual/behavioral dynamics as discussed in Part One of this series. The Kingdom is seen as having a throne and King Jesus reigning over the house of Jacob. The Kingdom is seen as having location. The question we must ask is where that location is. Is it on planet earth or is it in the heavenly realm? Luke 22:15-18: And he said to them, "I have eagerly desired to eat this Passover with you before I suffer. For I tell you, I will not eat it again until it finds fulfillment in the kingdom of God." After taking the cup, he gave thanks and said, "Take this and divide it among you. For I tell you I will not drink again of the fruit of the vine until the kingdom of God comes." Here the Kingdom is seen as yet to arrive. Other Scriptures show it doesn't arrive until Christ returns after having ascended to the Father to receive a Kingdom (Daniel 7:13-14). The Kingdom is seen as arriving when Christ comes in power and glory (Matthew 16:27-28, Mark 9:1). Jesus told Nicodemus one must be born again to enter the Kingdom (John 3). Paul and Peter indicate this rebirth involves being given a deposit of inheritance which guarantees entrance into the Kingdom (Ephesians 1:13-14, 1 Peter 1:3-4). It appears that all NT statements that speak of participating in the Kingdom while still a physical Being pertain to living according to the moral and ethical requirements of the Kingdom. This is seen as preparatory to being changed from mortal to immortal at the time of Christ's return which is when actual entrance into the Kingdom occurs. Here it appears that to be in the Kingdom is to be in a non-physical /non-material dimension of existence in the heavenly realm. More on this as we proceed with this discussion. Joseph of Arimathea is seen as waiting for the Kingdom to come. Joseph apparently was a disciple of Jesus and would have been familiar with His teaching as to the nature of the Kingdom. As is seen, Joseph apparently sees the Kingdom as not yet having arrived. Mark 15:43: Joseph of Arimathea, a prominent member of the Council, who was himself waiting for the kingdom of God, went boldly to Pilate and asked for Jesus' body. A passage in Luke gives evidence to the Kingdom of God having location. The patriarchs and prophets are at this location along with many others. The patriarchs and prophets were dead for many years and yet are pictured as being in a location called the Kingdom of God. The language of this passage strongly suggests the Kingdom of God has specific location. Luke 13:28-29: "There will be weeping there, and gnashing of teeth, when you see Abraham, Isaac and Jacob and all the prophets in the kingdom of God, but you yourselves thrown out. People will come from east and west and north and south, and will take their places at the feast in the kingdom of God. In Matthew 19:28, Jesus is recorded as speaking of a time He calls "the renewal of all things" which other Scriptures show is the time when He has been glorified and begun to rule with the glorified saints. The language of this passage and several passages indicates a literal place of rule. Matthew 19:28: Jesus said to them, "I tell you the truth, at the renewal of all things, when the Son of Man sits on his glorious throne, you who have followed me will also sit on twelve thrones, judging the twelve tribes of Israel. Matthew 26:29: I tell you, I will not drink of this fruit of the vine from now on until that day when I drink it anew with you in my Father's kingdom." Luke 22:28-30: You are those who have stood by me in my trials. And I confer on you a kingdom, just as my Father conferred one on me, so that you may eat and drink at my table in my kingdom and sit on thrones, judging the twelve tribes of Israel. Luke 23: 42-43: Then he said, "Jesus, remember me when you come into your kingdom." Jesus answered him, "I tell you the truth, today you will be with me in paradise." Matthew 20:21: "What is it you want?" he asked. She said, "Grant that one of these two sons of mine may sit at your right and the other at your left in your kingdom." The language of these passages indicates the Kingdom is more than spiritual dynamics of behavior toward God and man. Here the Kingdom is seen as a governing authority involving rulership and judgement. 1 Corinthians 15:50-54: I declare to you, brothers, that flesh and blood cannot inherit the kingdom of God, nor does the perishable inherit the imperishable. Listen, I tell you a mystery: We will not all sleep, but we will all be changed-- in a flash, in the twinkling of an eye, at the last trumpet. For the trumpet will sound, the dead will be raised imperishable, and we will be changed. For the perishable must clothe itself with the imperishable and the mortal with immortality. When the perishable has been clothed with the imperishable, and the mortal with immortality, then the saying that is written will come true: "Death has been swallowed up in victory." Paul clearly says flesh and blood can’t inherit the Kingdom. He goes on to indicate that to inherit the Kingdom, those he was addressing must be changed from being perishable to being imperishable. He emphasizes this further by saying mortality must be changed to immortality. Paul says this will happen at the “last trump” and will result in “death being swallowed up in victory.” The implication is that death will no longer have power over those experiencing this change. Paul indicates that both dead and living will be changed. The dead will be raised imperishable and the living will be changed to imperishable. Paul says something similar to the Thessalonians. 1 Thessalonians 4:16-17: For the Lord himself will come down from heaven, with a loud command, with the voice of the archangel and with the trumpet call of God, and the dead in Christ will rise first. After that, we who are still alive and are left will be caught up together with them in the clouds to meet the Lord in the air. And so we will be with the Lord forever. I must note at this point that Apostle Paul and the leadership of the first century Christian community all believed and taught that this change was going to take place in their lifetime. In my series of essays on this website entitled, "When Does Christ Return,” I clearly demonstrate from the Scriptures that the first century Christian community fully expected Christ would return in their lifetime and facilitate judgement and resurrection from the dead. This perspective dominates their writings. They believed this because of what Christ taught as to the timing of His return. As I have pointed out before, if Christ’s return and all associated events did not occur in the first century as expected and anticipated, we have a serious credibility problem with the teachings of Christ and the leadership of the early Christian Church. Please visit When Does Christ Return for further elucidation of this issue. The Scriptures speak of receiving an inheritance of eternal life in the Kingdom of God. Scripture shows that to inherit eternal life is to inherit the Kingdom. Jesus spoke interchangeably about inheriting eternal life and inheriting the Kingdom (Matthew 19:29, 25:34). Paul speaks of the Holy Spirit as being a deposit of ones inheritance of redemption. To inherit redemption is to inherit eternal life in the Kingdom of God. We have seen from the Scriptures that the goal of the early church was to inherit eternal life in the Kingdom of God. Peter identifies this inheritance as kept in heaven. Paul, in his letter to Timothy, speaks of being safely brought to the heavenly Kingdom. Is Paul identifying heaven as the location of the Kingdom? 2 Timothy 4:18a: The Lord will rescue me from every evil attack and will bring me safely to his heavenly kingdom. In Matthew 19:21-23, Jesus talks about accumulating treasure in heaven by doing good works in this physical life. He says this in the context of entering the Kingdom of Heaven. In Luke 12:33 Jesus speaks of giving to the poor as a means of laying up treasure in heaven where such treasure will be safe. In Matthew 6:19 Jesus is quoted as instructing his listeners to store up treasure in heaven. Jesus speaks of having reward in heaven for enduring persecutions in this life (Matthew 5:12). It is instructive that whenever Matthew speaks of the Kingdom he refers to it as the Kingdom of Heaven. In Matthew 16, Jesus seems to identify the Kingdom as located in heaven. Matthew 16:19: I will give you the keys of the kingdom of heaven; whatever you bind on earth will be bound in heaven, and whatever you loose on earth will be loosed in heaven." Jesus speaks of the keys of the Kingdom of heaven. He states that whatever is bound or loosed on earth will be bound or loosed in heaven. While the binding and loosening can be done on earth, the power and authority to do so is seen as derived from and taking place in a Kingdom located in heaven. To the Corinthians, Paul speaks in terms of having a heavenly dwelling. He says this in the context of the mortal becoming immortal. He reiterates what he said to the Ephesians that it is through the Spirit we have a deposit, guaranteeing what is to come. He shows what is to come is having a heavenly dwelling. 2 Corinthians 5:1-8: Now we know that if the earthly tent we live in is destroyed, we have a building from God, an eternal house in heaven, not built by human hands. Meanwhile we groan, longing to be clothed with our heavenly dwelling, because when we are clothed, we will not be found naked. For while we are in this tent, we groan and are burdened, because we do not wish to be unclothed but to be clothed with our heavenly dwelling, so that what is mortal may be swallowed up by life. Now it is God who has made us for this very purpose and has given us the Spirit as a deposit, guaranteeing what is to come. Therefore we are always confident and know that as long as we are at home in the body we are away from the Lord. We live by faith, not by sight. We are confident, I say, and would prefer to be away from the body and at home with the Lord. What Paul says here is in line with his teaching that we have a body that is perishable and must be changed to imperishable. We are born with a natural body that must be changed to a spiritual body. Paul makes a distinction between being an earthly man as opposed to being a heavenly man. The implication is that the natural man is of the earthly realm and the spiritual man is of the heavenly realm. Paul's statement about being at home in the body is to be away from the Lord further shows that being in the body is one realm of existence and being away from the body and at home with the Lord is to be in a different realm of existence. Paul speaks of this in his first letter to the Corinthians. 1 Corinthians 15:42-49: So will it be with the resurrection of the dead. The body that is sown is perishable, it is raised imperishable; it is sown in dishonor, it is raised in glory; it is sown in weakness, it is raised in power; it is sown a natural body, it is raised a spiritual body. If there is a natural body, there is also a spiritual body. So it is written: "The first man Adam became a living being"; the last Adam, a life-giving spirit. The spiritual did not come first, but the natural, and after that the spiritual. The first man was of the dust of the earth, the second man from heaven. As was the earthly man, so are those who are of the earth; and as is the man from heaven, so also are those who are of heaven. And just as we have borne the likeness of the earthly man, so shall we bear the likeness of the man from heaven. This appears to be the same transformation Paul speaks to the Corinthians about as covered above in our discussion of 1 Corinthians 15:50-54. Paul sees the Christians he is addressing as already having their citizenship in heaven and they are now eagerly waiting for the return of Christ so their mortal bodies can be transformed to be like Christ’s glorious body. This does not appear to just be some internal “spiritual” transformation but a real change of body composition. Most importantly, this transformation was fully expected to happen in their lifetime. It was to happen soon because they saw the return of Christ as being near to them as is clearly reiterated throughout the NT writings. Seeing themselves as having citizenship in heaven makes perfect sense in view of Paul’s teaching that the indwelling of the Holy Spirit is a deposit of eternal life in the heavenly Kingdom. To the Colossian brethren, Paul speaks of their hope being stored up for them in heaven (Colossians 1:5). Peter speaks of being welcomed into the eternal Kingdom of Christ as if this is something still future to the Christians Peter was addressing at the time. As discussed in Part One, Jesus told Pilate His Kingdom was not of this world. The Greek word rendered world is kosmos and is a word that relates to the physical realm. Jesus told Pilate that if His Kingdom was of this physical realm His servants would fight on his behalf, but His Kingdom is not of this physical realm. From the Scriptures we have so far considered, it is apparent that while the Kingdom has spiritual dynamics that God expected Christians to embrace and practice while living a physical life on earth, they didn’t fully enter the Kingdom until they experienced a change in bodily composition. Christians were given an inheritance in the heavenly Kingdom by having the Holy Spirit dwelling in them. However, it wasn’t until they were literally transformed from having a physical body to having a spiritual body that they were able to enter the location of the Kingdom which appears to be in heaven. This appears to be the teaching of the NT writers. The NT leadership believed and taught that Jesus would return in their lifetime and facilitate their transformation from mortal to immortal and usher them into the heavenly Kingdom. We know first century Israel was judged by God as witnessed by the Roman invasion which resulted in the destruction of the temple and the city of Jerusalem in A.D. 70. Jesus clearly foretold this destruction in the Olivet Discourse (Matthew 24, Mark 13, Luke 21) and throughout His ministry. The apostles taught this anticipated judgement as well. The NT Scriptures teach this judgement was tied to the return of Christ which is tied to resurrection of the dead and entrance into the Kingdom. So what do we have here? If we read the NT Scriptures in context and respect audience relevance, it appears the dead saints were given resurrected bodies and ushered into the heavenly Kingdom when Christ appeared at the time of the fall of Jerusalem. It also appears the living saints were transformed from having physical bodies to having spiritual bodies as Paul and Peter indicated would happen. This group then joined the resurrected dead in the heavenly Kingdom. In view of the strongly expressed expectations of a transformation from mortality to immortality and an equally strong anticipation of being given a new dimension of life in the heavenly realm, it would appear that an actual change from being a physical body to being a spiritual body occurred for the living saints. The problem with this conclusion is that there is no documentation from any historical source that this actually happened. Secular history clearly documents the destruction of the temple and the city of Jerusalem. However, there is no documentation in the NT Scriptures, secular history, early Christian apocryphal writings or in any other source material that tell of a mass of Christians suddenly disappearing (raptured) from off the face of the earth at the time of the destruction of Jerusalem. There is no record of Christians suddenly missing from their families, places of work, churches or any other places. It must be understood that by the time of Jerusalem's destruction, Christianity had spread throughout the Roman Empire and beyond. All indications are that by the time of Jerusalem's destruction, there were multiple thousands of Christian converts. There were thousands of Jews who came to believe in Christ (Acts 21:20). Paul had taken the Christian message to a number of cities throughout the Mediterranean area such as Corinth and Thessalonica. It was to Christians living in these cities that Paul taught the imminent return of Christ which would be accompanied by a resurrection of the dead saints and a transformation of the living saints from mortal to immortal and their translation into the heavenly Kingdom. Yet there is nothing in the extant historical records from these cities that tells of the sudden disappearance of people from their communities. Because there is a virtual absence of Christian literature during the period between the destruction of Jerusalem and the first part of the second century, some argue that this signifies there weren’t any Christians around to write such material because they had been raptured into the heavenly realm. While this does provide a measure of circumstantial evidence for the rapture position, it remains an argument from silence and therefore inconclusive. Furthermore, if an event such as the mass disappearance of Christians took place, you would expect this would have been mentioned in the secular (non-Christian) writings of that period. There is nothing mentioned of such an event taking place. Also, when Christian writing does again appear at the beginning of the second century, nothing is said about a rapture of Christians at the time of Jerusalem's destruction. All indications are that most Christians in the second century were looking for a yet to occur return of Christ and all related events. This being said, it is undeniable that first century Christians and their leadership expected and anticipated these events were about to happen. They believed this because this is what Jesus taught during his ministry (See my series entitled "When Does Christ Return). They expected the imminent return of Christ along with judgement upon Israel, resurrection of the dead to eternal life and the transformation and transportation of the living saints to a heavenly realm of existence which was identified as entrance into the Kingdom of God. In the chapter on resurrection in my series entitled, “When Does Christ Return.” I took the position that resurrection had to do with rising out of spiritual death into the spiritual life engendered by the Christ event. I wrote that when resurrection took place in association with the return of Christ at the time of Jerusalem’s destruction, dead saints where not visibly raised out of graves but were given spiritual bodies in the unseen realm and were ushered into the unseen heavenly realm while the living saints were spiritually transformed to now have eternal life abiding in them. I maintained that the living saints continued to live out their lives until their physical death at which time they also received spiritual bodies and joined the ranks of the redeemed in the heavenly realm. Based on the clearly documented expectations of the first century Christians as recorded in the NT Scriptures, I must continue to maintain that the deceased saints were invisibly raised from the dead at the expected return of Christ in the first century. They were given spiritual bodies and transported into the Kingdom of God in the heavenly realm. However, after further study, it has become apparent to me that first century Christians and their leadership firmly believed and expected that those alive at the expected near at hand return of Christ would also be changed from having physical bodies to having spiritual bodies. They would not have to wait for physical death to receive a spiritual body. Paul taught that both the living and the dead would experience this change. The dead saints would be revivified and given spiritual bodies. Alive saints would be instantly transformed from having a physical body to having a spiritual body. Both groups would join Christ in the heavenly realm and enter the Kingdom of God. The fact remains, however, that there is no documentation that a resurrection of dead saints or a rapture of living saints occurred in the first century. What complicates this matter even more is that Jesus, in the Olivet Discourse (Matthew 24), advised His disciples to flee Jerusalem when they saw its destruction was about to occur. There is some historical evidence that the Jerusalem based Christians fled to the city of Pella in the Decapolis on the other side of the Jordan River. While it could be argued that they fled early in the war before Christ directly intervened, the question must be asked that if a rapture of living saints was to occur when Christ returned in judgement against first century Israel, why the need for the saints to flee Jerusalem? Why were they not raptured out of Jerusalem? There is no documentation of Christians being raptured out of Jerusalem, Pella or any other location. Some believe the Holy Spirit would not have inspired the NT writers to anticipate these events happening in their lifetime if it wasn’t going to happen. Therefore, it must have happened and the recorded expectation that it was going to happen is believed to be documentation enough. It appears Jesus made it very plain to His disciples shortly before His crucifixion that he was going to prepare a place for them and would return to bring them to the place He had prepared. During the meal Jesus was sharing with his disciples just before his arrest, Jesus made a very encouraging promise to the disciples as recorded in John 14. Keep in mind here that Jesus is addressing His disciples who were present with Him at the time. They would have understood Jesus to be promising them He would come for them to bring them to the place He was preparing. John 14:1-3: "Do not let your hearts be troubled. Trust in God; trust also in me. In my Father's house are many rooms; if it were not so, I would have told you. I am going there to prepare a place for you. And if I go and prepare a place for you, I will come back and take you to be with me that you also may be where I am. While it is true this passage has had a variety of interpretations, the general interpretive consensus is that Jesus is speaking literally of going to where the Father resides to prepare a place for His disciples and will return to bring them to this place so that they can reside with Jesus where Jesus is which is apparently where the Father is. Many Scriptures show the Father resides in the heavenly realm which is were the seat of authority is for the Kingdom. Since Scripture shows Jesus ascended to the Father 40 days after His resurrection and we know the Father resides in the heavenly realm, it would appear it was into the heavenly realm that Jesus ascended and it was there where He was going to prepare a place where both the dead and the living saints would be taken. Most Christians look at this passage and completely ignore audience relevance. They conclude Jesus is addressing all Christians of all ages. However, the context is Jesus’ imminent crucifixion and his absence from being with His disciples. He is trying to reassure them that after all is said and done, He is going to return to them and take them to be where He is. He reiterates in verse 28 that He is coming back to them. This would have been of little encouragement to them if His returning to them wasn’t going to take place until after they were dead for thousands of years. .
John 14:27-28: Peace I leave with you; my peace I give you. I do not give to you as the world gives. Do not let your hearts be troubled and do not be afraid. "You heard me say, `I am going away and I am coming back to you.' If you loved me, you would be glad that I am going to the Father, for the Father is greater than I. Some see Jesus' promise about going to the Father and returning as relating to His resurrection from the dead where Scripture shows He did ascend to the Father but then returned and spent 40 days with his disciples teaching them about the Kingdom before reascending to the Father. Preparing a place for them is seen as preparing a spiritual place and that through His crucifixion and resurrection Jesus had facilitated a spiritual union with Jesus and the Father. This view, however, does not harmonize with Jesus speaking of there being many rooms in the Father's house. Nor does it harmonize with the Scriptural passages we have discussed that speak of being clothed with a heavenly dwelling and the Kingdom being a residential destination. Will the Kingdom of God be established on earth? In parts one and two of this series, we have looked at dozens of Scriptural passages that speak of the Kingdom. Some of these passages show the Kingdom has spiritual dynamics of behavior that can and should be practiced in this physical life. We also found that indwelling of the Holy Spirit acts as a deposit of a guaranteed inheritance of the Kingdom. Such guaranteed deposit places our citizenship in heaven where the governing authority of the Kingdom resides. As discussed earlier, many Christians believe there is Scriptural reason to believe the Kingdom will be established on earth at a yet future return of Christ. We discussed the OT Scriptures that give such indication. There are only two NT Scriptures that appear to suggest the ultimate destination of the saints is the earth and therefore the Kingdom, as a governing authority, will be on earth. Jesus said “Blessed are the meek, for they will inherit the earth (Matthew 5:5). Some believe this Scripture gives evidence to the earth being the ultimate destination of resurrected saints. This saying of Christ is part of His dissertation known as the Sermon on the Mount. He also says in this sermon, "Blessed are the poor in spirit, for theirs is the kingdom of heaven (Matthew 5:3). Here heaven appears to be the destination. A careful review of the teachings given in the Sermon on the Mount show Jesus is dealing with dynamics relevant to our earthly existence. He is not addressing life beyond death in this sermon. Therefore, to use Jesus’ statement about the meek inheriting the earth as showing our location after physical death is unwarranted. This being said, it is instructive that in what has come to be called “The Lord’s Prayer” which is found in the Sermon on the Mount, part of the prayer asks that God’s Kingdom come and God’s will be done on earth as it is in heaven (Matthew 6:10). The coming of the Kingdom is associated with doing the will of God. If God's will being done on earth is associated with the presence of the Kingdom on earth, it follows that God's will being done in heaven is associated with the presence of the Kingdom in heaven as well. Since the throne of God is in heaven, it is from heaven that God rules. Therefore, the ruling authority of the Kingdom is from heaven which appears, as we have discussed, to be the destination of the saints. This shows the Kingdom to have earthly dynamics which have their genesis in the Kingdoms heavenly location. The one other Scripture suggesting the Kingdom is an earthly government is in Revelation the fifth chapter. Here is pictured a scene of heavenly Beings before the throne of God singing a song which says in part that through the blood of Christ, men from every tribe, language, people and nation have been purchased for God and they have been made a kingdom of priests to serve God and they will reign on the earth. Revelation 5:10: You have made them to be a kingdom and priests to serve our God, and they will reign on the earth." Some believe this proves the resurrected saints will rule on the earth. It should be noted, however, that the Greek word translated “on” can also be translated “over.” Furthermore, Revelation 14 speaks of the 144,000 being redeemed from the earth with indications they are before the throne of God which we know is in heaven. Here the implication is that saints have been transferred from earth to heaven. Revelation 14:3: And they sang a new song before the throne and before the four living creatures and the elders. No one could learn the song except the 144,000 who had been redeemed from the earth. One additional issue in regard to our being in the Kingdom of God should be considered. Jesus said that marriage does not exist in the resurrection. Matthew 22:30: For in the resurrection they neither marry nor are given in marriage, but are like angels in heaven (NET). In looking at all the Scriptures that mention the Kingdom of God, it is apparent the Kingdom has spiritual dynamics of power and righteousness which can be experienced and expressed while living on this earth. It is also apparent the Kingdom can be entered spiritually in that the Holy Spirit facilitates a deposit of inheritance of the Kingdom while we are still physical. We see that through the Holy Spirit, the disciples were able to express the power of the Kingdom in performing miracles and preaching the Kingdom in the face of great persecutions. All this demonstrates that the Kingdom of God is a present reality for those who accept and practice its tenets and in so doing demonstrate its power in their lives. However, the Kingdom is also pictured as our destination after physical death. We see this prominently taught in the writings of Apostle Paul and discussed by other NT writers as well. When Jesus was on earth, He demonstrated the Kingdom's dynamics of power and righteous behavior. After His resurrection and ascension, He received much greater governing power and authority from His Father in Heaven. First century Christians firmly believed Christ would return during their lifetime in the power and glory of the Kingdom His Father bestowed upon Him. They believed He would display this power in judgement upon first century Israel. They also believed His coming would facilitate resurrection of the dead and transformation of the living with both groups ushered into the heavenly realm where the governing authority of the Kingdom of God is located. There are Scriptural reasons to believe that subsequent to these events of the first century, believers continue to enter the heavenly Kingdom upon physical death (See my series, What Happens After Death). It is apparent that OT passages that speak of the Kingdom of God being established are not speaking of such kingdom being established here on earth. It appears these passages are speaking of a Kingdom with its governing authority located in heaven. 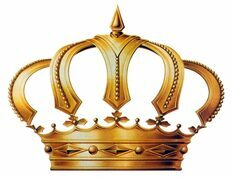 This heavenly kingdom is seen as superseding any and all past, present and future earthly kingdoms in authority, power, rulership and glory. It is this heavenly situated Kingdom from where Christ and the saints reign. When Jesus told Pilate that His Kingdom is not of this world, He meant it was not of this world. He knew the seat of power and authority of the Kingdom was in heaven and that is where He would be going after He fulfilled His Father's will on earth and ascended to the Father in Heaven. Jesus plainly said that if His Kingdom was of this world His servants would fight on its behalf. Fighting on behalf of a kingdom implies a ruling governing authority. It implies offices of leadership. It implies having the wherewithal to enforce rules and regulations and to defend itself from attack. It implies a great deal more than spiritual dynamics residing within an individual as we discussed in part one of this series. Therefore, when Jesus told the religious leaders that the Kingdom was within them, it is apparent He was referring to the spiritual/behavioral dynamics of the Kingdom that are available to humans and not that the seat of the Kingdoms governing authority is in humans. Jesus plainly said some whom He was addressing would live to see Him come in the power and glory of His Kingdom (Matthew 16:27-28, Mark 9:1). Jesus clearly identified the time frame for His coming by telling His disciples they would not finish taking the gospel message to all the cities of Israel before He would return (Matthew 10:33). In the Olivet Discourse, Jesus provides a list of events that were about to occur. These events include the destruction of the temple and the downfall of Jerusalem. He concludes His dissertation by saying, "Even so, when you see these things happening, you know that the kingdom of God is near. "I tell you the truth, this generation will certainly not pass away until all these things have happened" (Luke 21:31-32). It was the generation then extant that would witness the appearing of the Kingdom of God. This shows that the actual coming of the Kingdom of God was yet ahead but was going to happen in conjunction with the destruction of the temple and the city of Jerusalem which did occur some 40 years later. If we are willing to read the Scriptures in context and give heed to audience relevance, it is very apparent Jesus was teaching His listeners that His return was going to take place in their lifetime. Because Jesus taught this, Apostle Paul taught his churches that Christ was about to return and his return would facilitate resurrection of the dead and transformation of the living saints. The result would be that both groups would be transported into the Kingdom of God located in the heavenly realm where resides the governing authority of the Kingdom. This being said, we still have the problem of documentation. We don’t have written witness to either resurrection of the dead or transformation of the living actually taking place in the first century. While first century historian Josephus records reports of several "supernatural" events occurring in association with the destruction of the city of Jerusalem and the Temple, these reported events are not independently substantiated nor do they give explicit evidence to resurrection taking place. What we do have are NT documents that record great expectation and anticipation of these events. What we have is a great deal of Scriptural assertion that the return of Christ and related events was imminent to first century Christians. This is a very critical issue for the Christian doctrinal system. If these events didn’t happen in the generation being addressed by Paul, the other apostles and Christ Himself, then the early Christians were taught false doctrine by their leaders. The ramifications of this for the integrity of the Scriptures and the Christian doctrinal system are enormous. If the teaching that a first century return of Christ accompanied by all associated events was a false teaching, the reliability of Scriptural content becomes very problematical. Please see chapter one of my series entitled. "When Does Christ Return” for greater elucidation of this issue.